As the daughter and granddaughter of dentists, Dr. Rohini Bhatia has been surrounded by dentistry her whole life. 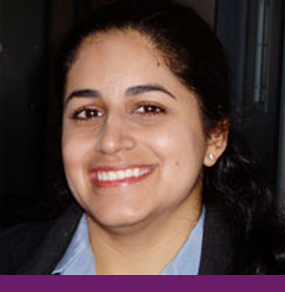 After graduating from University of Pennsylvania School of Dental Medicine, Dr. Bhatia completed a one-year residency at Columbia University, followed by three years of specialty training in prosthodontics through a combined program between the Manhattan Veterans Affairs Hospital and New York University. Dr. Bhatia attends numerous continuing education seminars and courses to stay up-to-date with advancements in the field of prosthodontics. She is also active in several professional organizations that provide the opportunity for continued education and study. Originally from West Chester, Dr. Bhatia currently lives in Bryn Mawr with her husband, an oncologist at Thomas Jefferson University, and their two sons. Outside the office, Dr. Bhatia enjoys traveling with her family, reading, and practicing yoga.